Today, after a hiatus of more than two weeks, I’m restarting the daily Japan photo series and I’m returning to my normal life. Anyway, the bad days are gone now, I am well and feeling fine. Life will be a bit more complicated, but I know what I have to do and this condition will not prevent me to continue to do what I love… traveling and taking photos! After I regained my senses, my family told me about the amazing flow of messages of support coming in… I felt your love and care helping me through this ordeal. So, once again, I would like to THANK YOU from the bottom of my hearth! 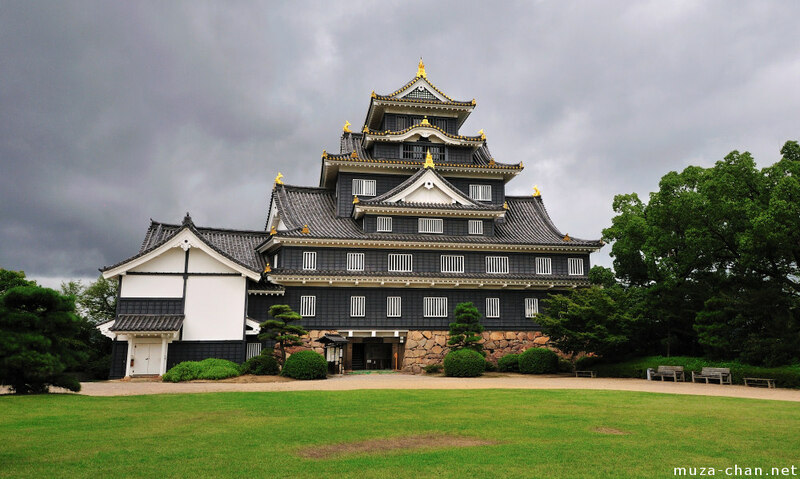 I love Japan for its vivid colors, the vermilion torii, the dark cyan temple roofs and the golden ornaments, but when it comes to Japanese castles, my favorites are the black ones. There are not many black Japanese castles (most of them are painted white), but one of them is located in Okayama, the city of Momotaro, and it is known as U-jo (Crow Castle).